A nation mourns because as of April 23, 2018 here in Canada, we have experienced two major events where a number of lives have been lost. The first event was on Friday April 6th where 16 young lives were lost due to a terrible accident, when a bus filled with young hockey players, the coach and general manager, a young woman therapist, two radio station employees, an announcer that travelled with the team, the team statistician and the bus driver were tragically killed when they were hit by a transport truck travelling in rural Saskatchewan. There were 29 people on the bus and many others were critically injured and have been left with lasting injuries. This tragedy broke our hearts. The whole country mourned and an extremely large number of people from other countries mourned with us. These were young people from a small town of only 6,000, Humboldt, Saskatchewan. A few of the hockey players were billeted there from other small towns in Canada. They were great young people and it was a terrible tragedy. At a Sunday memorable service conducted by the community churches you could just sense the faith that these people had in their Saviour Jesus Christ. Individual funeral services followed. The Pastor that normally travelled with the team gave the most wonderful speech at this memorial. He usually travelled on the bus but on this occasion, his children wanted to go to the game as well, so they travelled by car following the bus. He gave a great testament to our Lord and Saviour. I’m sure he touched many of those young people that were there. Canada is a hockey country and most young people who grow up here have played hockey, even if only casually. Those that go to play on minor hockey teams and usually travel by bus to their games, so most Canadians took this terrible accident to heart. 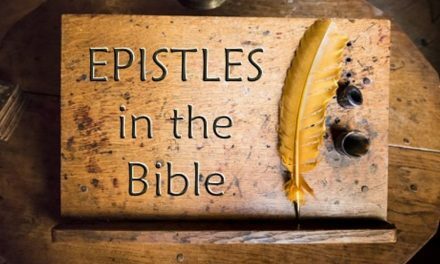 The second event just happened on April 23, as I am starting to write this article. 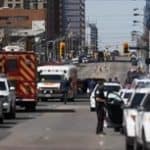 Many details are still unknown but 10 people were killed and 14 injured in Toronto, Ontario by someone who purposely drove a truck along one of the main streets in downtown Toronto and went up on the curb and ran people down along the sidewalk. It didn’t matter if they were young or old, he just plowed through them. This terrible event leaves you with a sick feeling. You grieve for this terrible loss of life, but you also feel angry and a bit fearful too. You realize this was a random attack on a number of people who were just walking down the street, many unaware that the truck was about to hit them. One was an older woman in her 90’s that liked to go out and feed the birds! This was not an accident. It was deliberate! Someone made a comment that “nowhere is safe anymore”. It does feel that way sometimes. Both of these incidents make us realize how fragile life is and asks the question what are we doing with our lives? 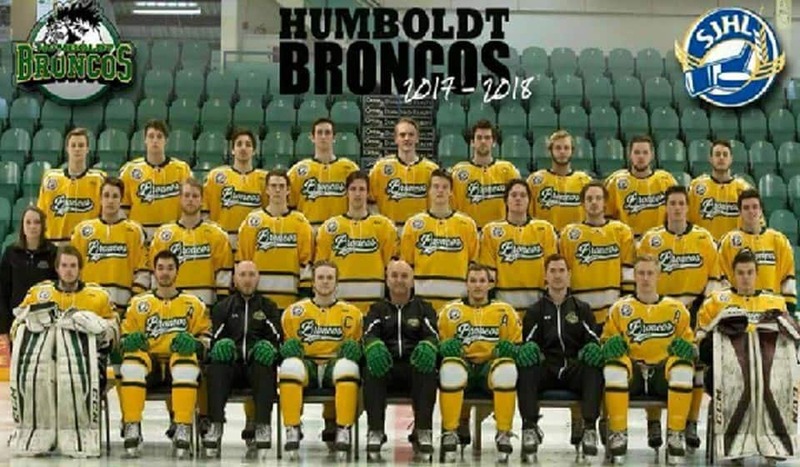 I must say from what I have heard about these men and the young woman on the Humboldt hockey team they were humble and committed a lot to the community and the young children in the town really looked up to them. The fact that they had a pastor travelling with them does seem to indicate that they must have known Jesus Christ. These were young people and when such a number of young people die at once it does seem to really affect us. You feel that they are still too innocent to go so soon but in this case, they knew the Lord and will live again in the Kingdom. Unfortunately, the details of those people killed in Toronto are not totally known right now but we do pray that they knew the Lord before they died. There was a multi-faith memorial for them which would certainly not be anywhere near as powerful as the memorial for the Humboldt team and that is too bad. Life can be taken from us very quickly and we must be ready to meet our Lord at any moment. A friend of mine mentioned that it is interesting that in the last 3 months there have been 3 Christian funeral services televised on TV and watched by many, Billy Graham’s funeral, the Humboldt hockey team memorial, and Barbara Bush’s funeral. Whether your liked them all or not these services did magnify our Lord and Saviour Jesus Christ and because they were televised they would have reached many who may never have heard a service. God can use bad things that happen to bring His people back to Him.